Literacy is the key to achieving a good education. 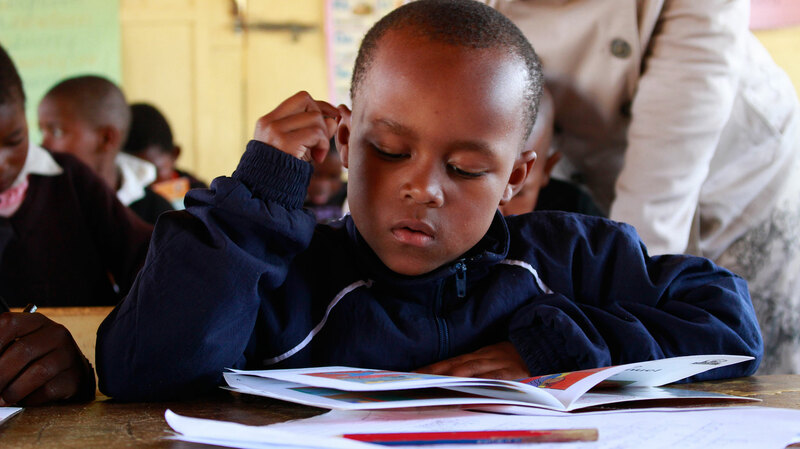 We are passionate about helping children develop their ability to read; we have spent over R270 000 on installing school libraries. 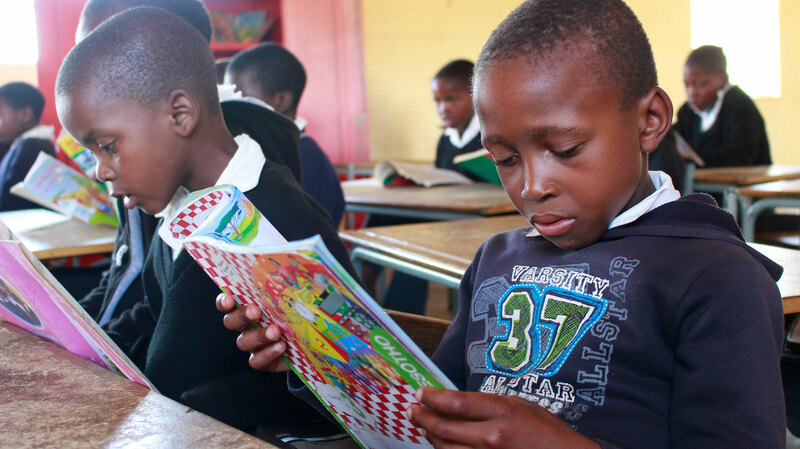 At some of the schools classroom libraries have been installed in each grade so the kids have easy access to the books and their use can be easily monitored. The books are chosen according to the children’s level of readiness. 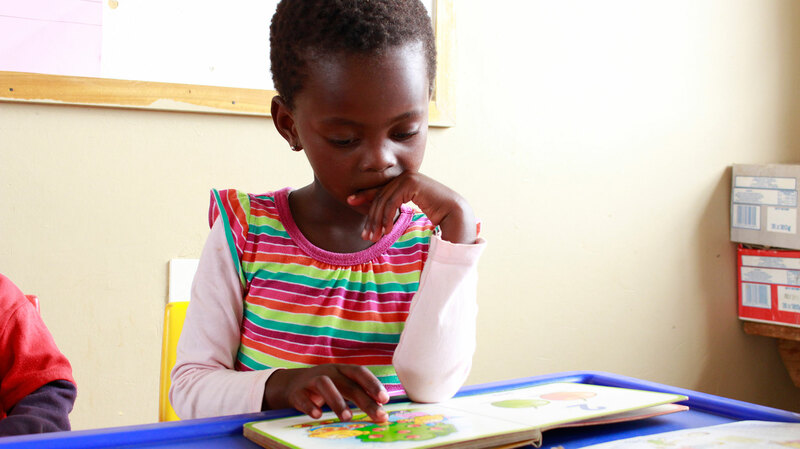 It’s important too to take into account the children’s mother tongue, and as such mostly Xhosa and Sotho books are available with English for the older children once they’ve started to learn the language. 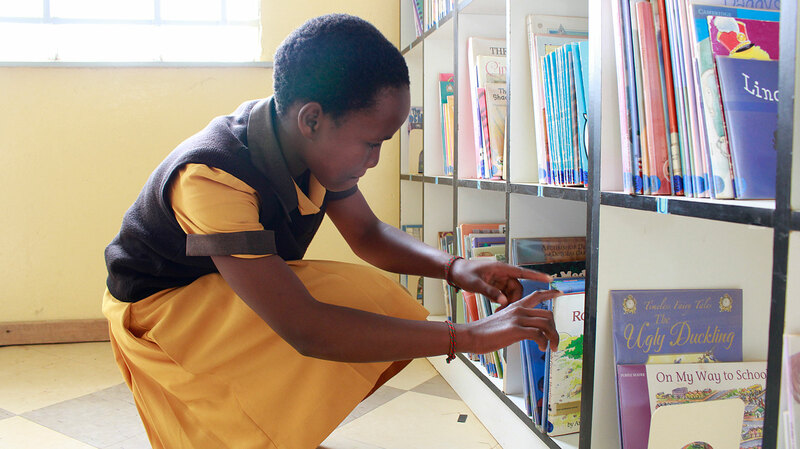 Maria Linden Juniour Secondary School near Reahsjhaba has a stand-alone library and the children enjoy “library time” with a trained librarian on staff. We have recently launched a pilot project at Reahasetjaba community care centre which sees care-givers reading to the younger children who finish school earlier than the older kids, in their home language, from books carefully selected for appropriateness. We hope to set a foundation for the kids to interact with books and learn to enjoy stories, and eventually to aid them in becoming fully literate and attain a good education. There are many factors which affect the low literacy rate and no reading culture exists in the villages, where adult literacy is also low. The CBO’s board is supportive and happy to offer these children the opportunity to develop their abilities.